Just over a year ago I remember writing a blog about the Coventry Inspiration Book Awards. I'd been involved in the judging of a schools' writing competition, and had been invited along to the awards ceremony as a guest. It was a really good night - especially (obviously) for the authors who won in the twelve adult and twelve young reader categories. And if you were you to ask if I was just a teeny weeny, itsy witsy bit envious as I watched the successful authors taking their bows - well, what writer wouldn't be - in a generous and big hearted way, of course!! 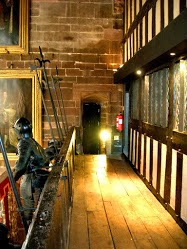 The presentation evening took place in the beautiful Saint Mary's Guildhall – one of Coventry's most historic buildings which dates back to the 14th century and has been in constant use throughout the ages. Reputed to be haunted and the place where Mary Queen of Scots was imprisoned for a time, the venue alone was inspirational to any writer. Looking back on that evening, little did I know that a year on I would be fortunate enough to have a book up there on the actual winners' podium. The first I knew of The Beast even being nominated was when I learned it had been shortlisted in the Young People's Raring2Read category. The Beast was published by Usborne in 2004 (can't believe it was that long ago!) and tells the story of Karbel, the ghost of a sabre toothed tiger haunting a remote Scottish valley nicknamed Valley of Shadows. Two other books followed it, The Reawakening and Rampage, turning it into a trilogy. 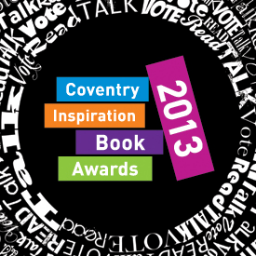 In addition to the voting for all the books in all 24 categories being open to one and all, twelve Coventry Primary Schools and twelve Secondary Schools also entered into a lively competition called Book Bouts! Each school was randomly allocated one of the shortlisted books. They then had to read and prepare a five minute presentation to 'sell' this book. The benefits to the children being they have a chance to show their creativity in all kinds of things from public speaking, creative writing and drama to ICT, PowerPoint and presentation skills. Eventually there is a special prize judged by an independent panel which is presented to the school with the best presentation. 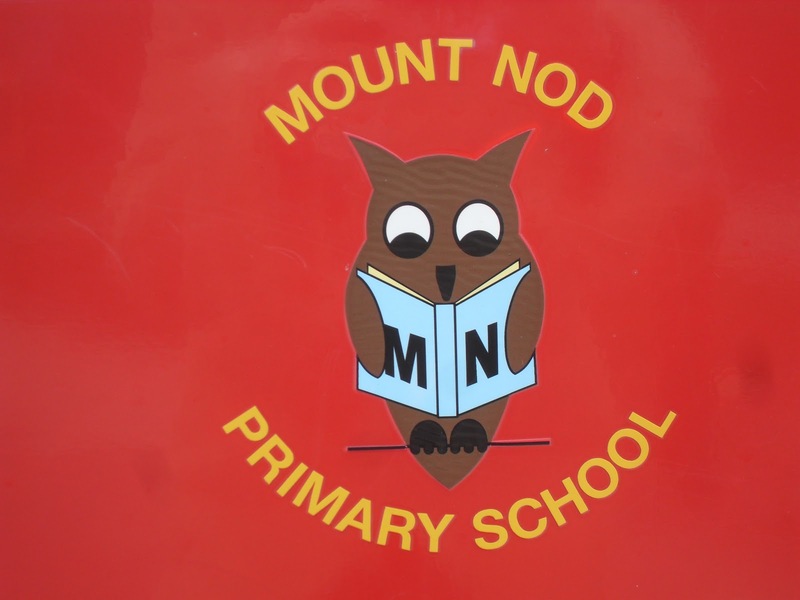 The school rooting for The Beast was Mount Nod Primary. As if being shortlisted wasn't a big enough thrill, the next six weeks was a nail biting time as two books each week were eliminated 'Big Brother' style until only two were left in each category. 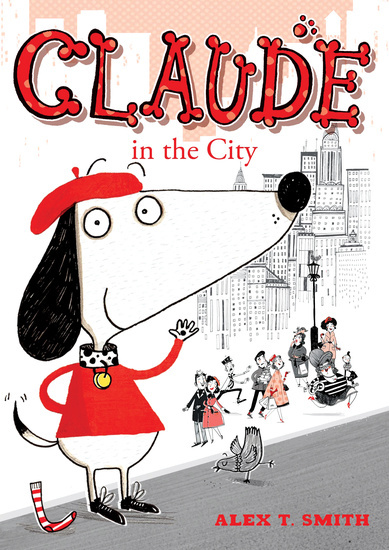 I honestly couldn't believe my eyes to find in the Raring2Read category it was eventually down to The Beast and Alex T Smith's wonderful picture book, Claude in the City. A head to head battle ensued between the cute and friendly Claude and a fearsome ghostly beast. It was a surreal moment to discover that Claude came as runner up, meaning just one thing! So a massive THANK YOU! to everyone who voted. Last week I popped along to Mount Nod Primary to meet the book club children who'd got my book in the Book Bout. And what an amazing and delightful team of Year 5 book lovers they were. We had a lovely morning chatting about The Beast then I got to talk to all of years 4 and 5. Plus I spotted a collage of books and reviews they'd made. But the icing on the cake was when they performed their presentation. Firstly just to me, and then to the whole of years 4 and 5. I hadn't actually realised what had been involved in putting this presentation together. They had dramatised and scripted a particular scene; made scenery, and created a big screen PowerPoint presentation with images and music to accompany their acting. 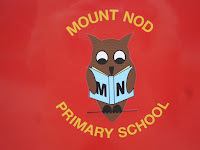 It totally blew me away to think they had gone to so much effort and it didn't surprise me to learn that Mount Nod had themselves won the special prize, for the school with the best presentation. THANK YOU Mount Nod Primary School, Coventry. Back L-R: Shona, Sanjot, Niamh, Mia, Sophia, Sophie. computer imagery in the finished presentation. Congratulations, Ann, you deserve it. The Beast is a really gripping read.